Mar scréadstracadh ar an nóinbhrat. Loudly ripping the poem of evening. Do bhrúigh amach gach focal díobh a dheoir féin. Every word forced out its own tear. Lámh a bhí mar bhalsam is tú tinn. A hand that was like the balsam and you ill.
And June toppled backwards into Winter. The orchard became a white graveyard by a river. The dark hole screamed loudly in the snow. Nuair a chuireadar mo mháthair, gile an fhóid. When they buried my mother, the white of the sward. To comprehend the internment to the full. A robin, unconfused and unafraid. Is do rinneas éad fén gcaidreamh neamhghnách. And I was jealous of the unusual affinity. A marvellous holy joy possessed the bird. Is an uaigh sin os mo chómhair in imigéin. The grave before me in the distance. A snow of purity fell on my heart. Cuimhne na mná d’iompair mé trí ráithe ina broinn. The memory of the woman who carried me three seasons in her womb. The gravediggers came with the rough noise of shovels. And vigorously swept the clay into the grave. I looked the other way, a man was brushing his knees. D’fhéachas ar an sagart is bhí saoltacht ina ghnúis. I looked at the priest, in his face was worldliness. A rustle in the silk of afternoon. Loudly ripping the film of evening. Lame little verses being written by me. I would like to catch a robin’s tail. I would like to rout the spirit of those knee brushers. Ba mhaith liom triall go deireadh an lae go brónach. I would like to journey sorrowfully to the day’s end. Seán Ó Ríordáin (1917 – 1976). Tá mé ag iarraidh na físeanna a bhaineann leis an gcúrsa atá Coláiste Lurgan ag cur ar fáil don phobal a bhailiú le chéile anseo. 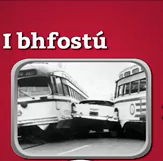 Is féidir clarú don chúrsa agus eolas a fháil faoi ag http://www.lurgan.biz Beidh mé ag déanamh Flashcards ar Quizlet dó diaidh ar ndiaidh. 2. A: Cad é mar atá tú? /Cén chaoi a bhfuil tú? /Conas atá tú? B: Go maith /Go breá /Maith go leor. Agus tú féin? An bhfuil tú go maith? 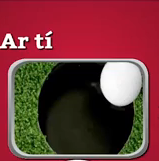 A: Tá. Go raibh maith agat. 3. A: Cad is ainm duit? / Cén t-ainm atá ort?/ C’ainm atá ort? B: ….. is ainm dom / …. atá orm./ Is mise …. Cad is ainm duitse? / Cén t-ainm atá ortsa? 4. 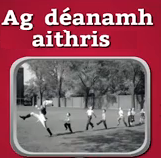 A: (Tá sé go) deas bualadh leat. 5. A: Is mise …. B. Deas bualadh leat/libh …. C: Deas bualadh leatsa /libhse freisin. 7. 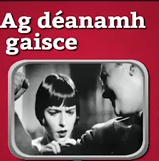 A: Cad é d’uimhir gutháin le do thoil? Do ríomhphost? / Do r-phost? A: Go raibh maith agat. Agus d’eolas led’ thoil? 8. 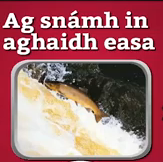 A: Caithfidh mé imeacht. 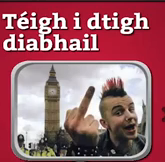 Slán agat. B: Slán leat. / Slán abhaile. ‘Súil agam go mbuailfimid le chéile arís. B. Dia is Muire duit. A. Cén chaoi bhfuil tú? B. Go maith agus tú féin? A. Go breá, go raibh maith agat. A. Is mise… An-deas bualadh leat. B. An-deas bualadh leatsa freisin. A. Cé hé an fear sin? B. Sin Brian, mo chara. 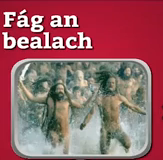 A. Cén t-ainm atá ar an mbean atá leis? A. A, go raibh maith agat. B. An bhfuil aithne agat orthu? B. Gabh mo leithscéal ach caithfidh mé imeacht. A. Gabh mo leithscéal ach an féidir liom m’uimhir gutháin a thabhairt duit? Ba mhaith liom caint leat arís. B: 818 991 1932, an ea? A. Go raibh maith agat. Chomh fiáin léi, is chomh haonraic, mar ba chuimhin liom. Spirited, as I remember. Untamed. Solitary. Till we doubt that you or your like ever existed. Is diamhaireacht na hoíche amuigh id shúile. Your eyes, the darkness of the night, brought in. Idir é is an doicheall i bhfuinneog a súl. [Caught] between him and suspicion in the window of their eyes. Bata is bóthar is fonn [dul] abhaile. The stick and the road and the longing to go home. Mo dhá láimh lom is mé liom féin. My two hands empty and me all alone. Ní bhfaighinn bheith istigh i ngar dá chroí . I [still] wouldn’t get close to his heart. A bhí chomh cúng le huaigh mo linbh. [Yet] that was just as narrow as the grave of my child. Looking for shelter from the rage of the sea. Ní bhfuaireas-sa ann ach airgead ag méileach. Is fliuchadh mo bhéil de mo dheora féin. And my mouth getting drenched with my very own tears. Bata is bóthar is fonn abhaile. 1. Doing the devil. Messing. Bhí an fear ag déanamh an diabhail ag an rás. The man was messing at the race. 2. Doing imitation. Copying. 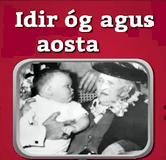 Tá na páistí ag déanamh aithris ar an múinteoir. The children are imitating the teacher. 3. Making a feat (of it). Boasting. Bhí an fear ag déanamh gaisce. The man was boasting. 4. Like the wind. Very fast. Bhí sé ag marcaíocht ar nós na gaoithe. He rode like the wind. 5. Deception. Chuir sí an dallamullóg air. She put the deception on him. She deceived him. 7. In a bind. Tá an carr i bhfostú. The car is stuck. 8. Between young and old. Everyone. Bhí idir óg agus aosta ann. Everyone was there. 9. Are you serious? Often shortened to simply Dáiríre? Seriously? A: Dáiríre? B: Dáiríre. 10. Swimming against the waterfall = An uphill battle. Tá sé ag snámh in aghaidh easa. He has an uphill battle. 11. Suddenly. 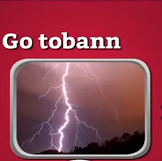 Tharla sé go tobann. It happened suddenly. 12. About to. Tá sé ar tí titim. It’s about to fall. 14. Leave the way = Clear the way. San alt Digging Deep (foilsithe ar Lá ‘le Pádraig 2014) chuimhnigh Michael Doyle ar Seamus Heaney a d’imigh uainn ró luath. Is chonaic mé teachtaireacht ann dúinn: sábháil ár dteanga, ár gcultúr, ár n-anam. Tháinig sé aniar aduaidh orainn. Tá filíocht inár dteanga, ins na focail, an rithim, an meon aigne atá fite fúite inti. Ní haon ionadh go bhfuil scríbhneoirí den scoth againn. Nuair a fuair Seamus Heaney bás, dar le Michael, tháinig sé aniar aduaidh orainn agus an ceart ar fad aige. Dúirt an t-Uachtarán Michael D. Higgins ag an am, file é féin agus na deora ag titim uaidh, gur ollmhór an méid a bhronn Seamus ar the republic of letters, conscience and humanity […]. Is dúirt an Taoiseach Enda Kenny: For us Seamus Heaney was the keeper of language, our codes and our essence as a people. Today, it would take Seamus Heaney himself to describe the depth of his loss to us. Agus b’shin iad na focail a bhain geit asam: the keeper of language, our codes and our essence as a people. Ní raibh mé in ann bogadh ar feadh tamaillín. Léigh mé arís é. An rud is fearr a rinnne Heaney. Éacht. Ceart aige. Ach mar a tharlaíonn sé go minic i gcúrsaí polaitíochta deirtear rud amháin agus déantar rud eile mar tá an Taoiseach céanna anois i gceannas ar rialtas atá ag marú ár language, our codes and our essence as a people: an Ghaeilge. 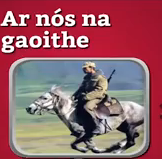 Tá Gaeilge ag Enda féin agus bheadh sé sásta í a labhairt murach na leisceoirí sa rialtas nár fhoghlaim meas dár language, our codes and our essence as a people. Níl siad in ann abairtí a chur le chéile ar feadh lá amháin fiú agus ní chóir d’éinne mar sin bheith i gceannas ar an tír mar is cuma leo faoi ár language, our codes and our essence as a people. Ní hamháin sin, tá drochmheas ag cuid acu ar ár language, our codes and our essence as a people. Ní thuigeann siad go bhfuil sé dhualgas orthu ar an rialtas bheith The keeper of language, our codes and our essence as a people. Is ba chóir é sin a mhíniú dóibh go hard is go soiléir. Tá vótaí againn. Ná lig do rud mar seo a tharlú arís. Roghnaigh go maith sa chéad todhcán eile. Scríobh Heaney faoi na rudaí is tábhachtaí. Thuig sé iad. Chaith sé rang amháin is cuimhin liom agus mé i gCarysfort fadó ag caint faoi neantóga agus copóga linn. Nuair a tháinig mé abhaile rinne mé iontas de. Bhaineamar uilig taitneamh as an rang is muid ag caint faoi na háiteachaí inar fhás siad agus na focail eile a bhí orthu agus scéalta fúthu. Ach chaitheamar rang i gcoláiste ag caint faoi fiailí agus áiteacha a bhí foircthe le fiailí. Bheadh díomá ar mo thuismitheoirí faoi, cheap mé. Ní le foghlaim rudaí mar sin a théann daoine go coláiste triú leibhéal! An sin an ceacht is tábhachtaí: go bhfuil luach i rudaí a deirtear linn nach bhfuil luach iontu. Lig Seamus dúinn an áilleacht agus an saibhreas a bhí ins na scéalta agus na cuimhní agus ins na plandaí iad féin a thuiscint. Thug sé meas dúinn orainn féin is ar ár ndúlra is ár ndúchas. 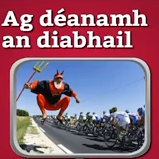 Tá daoine sa rialtas agus sa tír a cheapann nach bhfuil luach sa Ghaeilge. Tá drochmheas acu uirthi. Ach b’shin rud a mhúineadh dóibh. Sin feall a d’imir daoine orainn. D’fhéach daoine ar ár gcultúr mar fhiailí. Is caithfear treabhadh le cion leis an fhírinne a nochtú. Ní thagann tuiscint le fuil ná saint ach le grá agus foighne agus ana-chuid oibre. Roghnaigh Seamus filíocht agus ba cheard dó í.
I 1995, bronnadh an Duais Nobel ar Seamus mar scríobh sé works of lyrical beauty and ethical depth which exalted everyday miracles and the living past mar a mhínigh siad é.
Baineadh geit asam arís. The living past. Sin muidne. Tá daoine ag ceapadh go bhfulimid marbh agus b’fhearr leo muid a chur sa chré ach tá muid fós anseo agus ag fás agus ag dul ó neart go neart agus cheap siad nach raibh ionainn ach fiailí mar sin a dúireadh leo. Ní sa Past atá muid ar chor ar bith. Éist lenár language, our codes and our essence as a people. Tá muid fós anseo. The poet, arsa Heaney lena dhaltaí, is on the side of undeceiving the world. Poetry tries to help you to be a truer, purer, wholer being. Agus mhol sé The main thing is to write for the joy of it. The poet is on the side of undeceiving the world. Nach iontach an rud é sin! Deirtear le iriseoirí go minic go gcaithfidh siad bheith ‘neodrach’ ach sin seafóid. Caithfear bheith claonta ar thaobh undeceiving the world. Ní haon ionadh mar sin go bhfuil gleic idir na rudaí a dúirt Enda agus na rudaí atá ar siúl aige. Ní file é. Ach cé gur féidir le ciniceas a úsáid le coir an rialtais a mhíniú, tá sé sin ró leisciúil. Tá dualgas orthu, tá obair le déanamh acu, tá teanga le cosaint acu. Is ní hamháin go bhfuil ag teip orthu agus nach ndéanann siad iarracht fiú cúpla focal a rá ach tá siad ag marú an teanga. Mar sin ba chóir dúinne bheith ag undeceiving the world, ag nochtadh na bréaga, ag léiriú an feall. Cuireadh ár sinsear gan mheas sa chré fadó. Ná déan dearmad ar sin. Deirtear gan chaint a dhéanamh air. 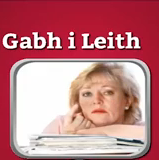 Deirtear gan labhairt as Gaeilge. Deirtear nach bhfuil luach sa teanga. Deirtear Whatever you say, say nothing. Sin feall. Caithfear labhairt amach go hard. Who dares to speak of ’98? Ba chóir. Caithfear dul i mbun undeceiving the world. Terraced thousands died, shaking scythes at cannon.